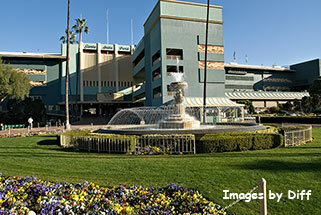 click photo to enlarge We went to the Santa Anita race track to take the Seabiscuit tram tour. 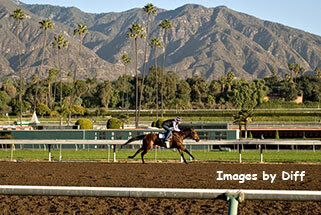 We also had breakfast at Clockers Corner. 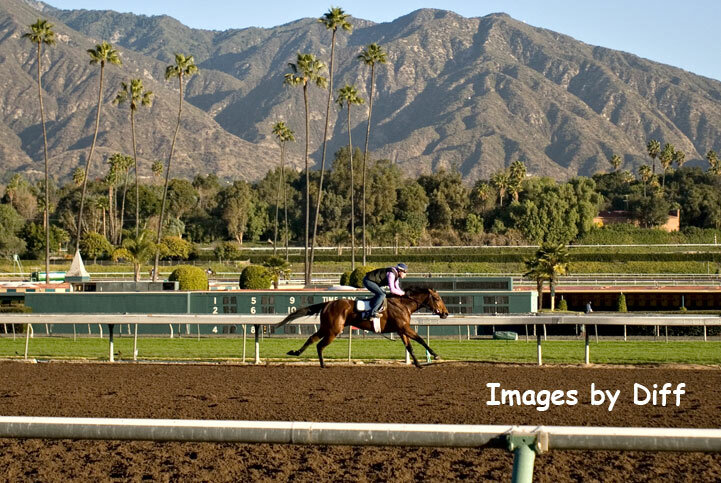 The track itself is a very pretty facility. 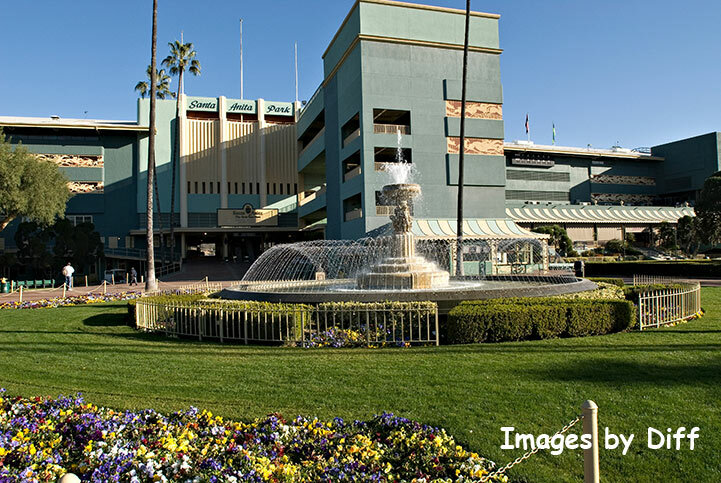 click photo to enlarge Well manicured grounds, flowers, fountains etc. 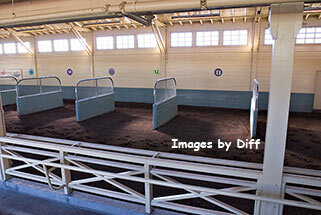 The tours are offered on Saturdays and Sundays during racing season at 8:30 and 9:45. It makes for a very interesting morning. 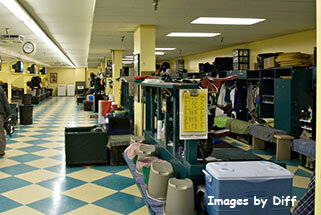 The place isn't crowded yet and you can wander around. 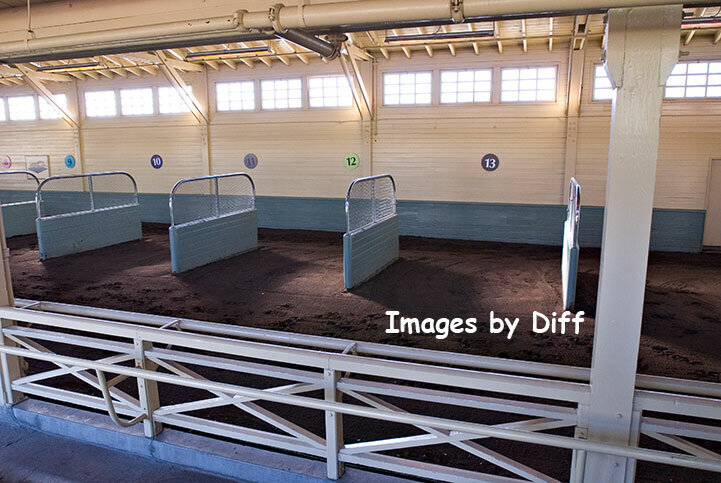 click photo to enlarge You will see Seabiscuits original stall and barn, areas used during the filming of the movie Seabiscuit, the jockeys room, silks room, saddling paddock and walking ring with its topiaries and statuary. 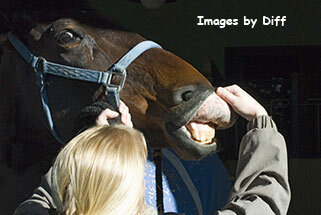 Meet the equine star of Seabiscuit, Fighting Furrari, who played the primary role in the film. 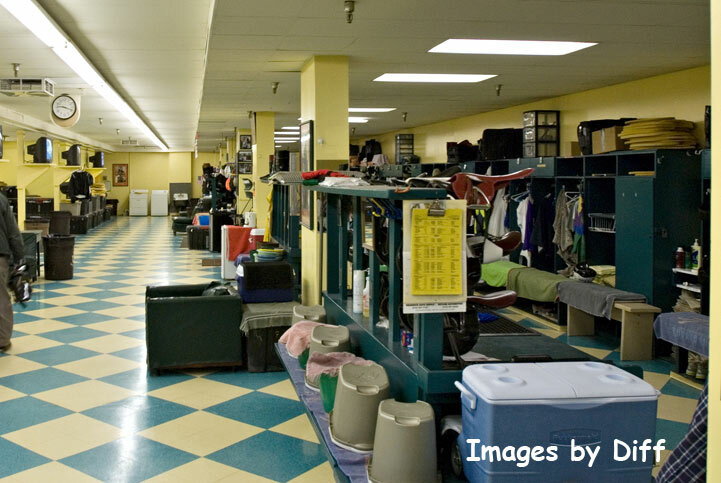 click photo to enlarge This is the jockeys room where they get ready. click photo to enlarge I found this interesting that they tattoo every racehorse on his upper lip so they can be identified.